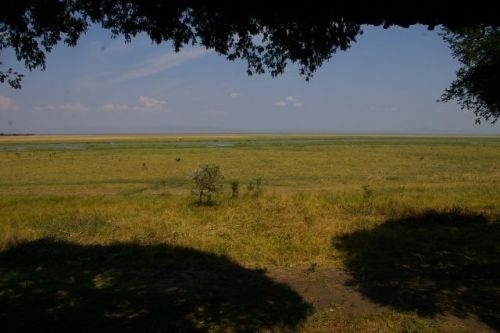 Katavi National Park is one of Tanzania's most remote parks and a true hidden gem. It is only just beginning to gain recognition for its beauty and the quality of its game viewing. Katavi is remote in the extreme and with just 650 visitors a year, is the ultimate 'off the beaten track' safari destination. This park is for those who like to visit the most remote places away from the crowds. Visitors will probably see more lion than other visitors and Katavi has the highest concentrations of hippo in the world. It is also not unusual to see herds of over 1000 buffalo. Driving. Camping safaris. Near Lake Katavi. Visit the tamarind tree inhabited by the spirit of the legendary hunter Katabi. By air: Fly directly to Katavi from Mlele. By railway: Tazara Railway from Dar-es-Salaam to Mbeya (Iyunga), then by road using public transport.